The space at 3829 Sixth Avenue, which had previously been occupied by Gruv and before that Hell’s Kitche, is available for lease ($13/square foot) or sale ($660,000). Dear daughter has told me several times that I need to write it up as a new place because chances are that once it is leased or sold, the mural will be painted over. 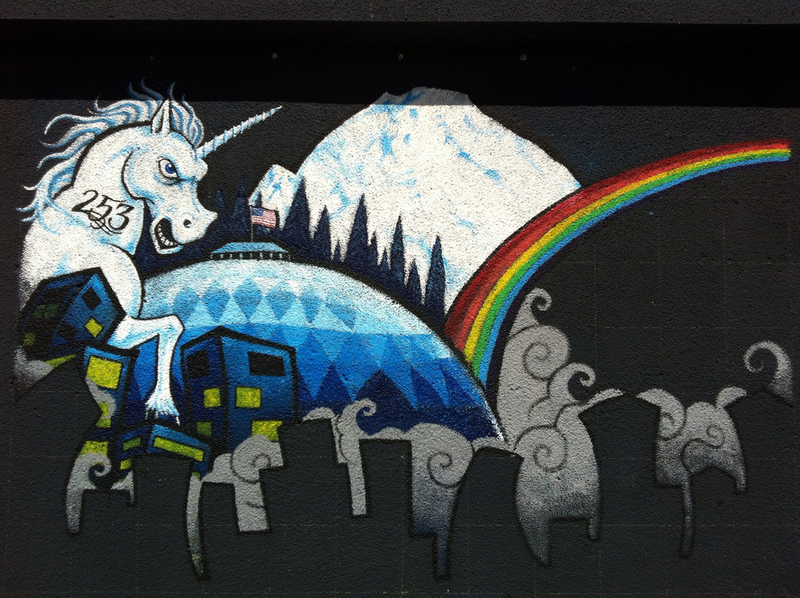 I like the mural which features a unicorn with 253 on its neck, the Tacoma Dome, a city skyline and a rainbow. The unicorn looks a little grumpy, but maybe that’s just macho. Sixth & Proctor Bar & Grill, Hell’s Kitchen Nightclub and Gruv. This entry was posted in Over 21, Restaurants, Tacoma, Their future is in question, WA State - Pierce County and tagged city, dome, Fowell's Market, Hell's Kitchen Nightclub and Gruv., Kay's Mexican-American Restaurant, Marshall & Kirkman Needle Work, mural, Proctor Inn Restaurant, Prosito Italian Restaurant. 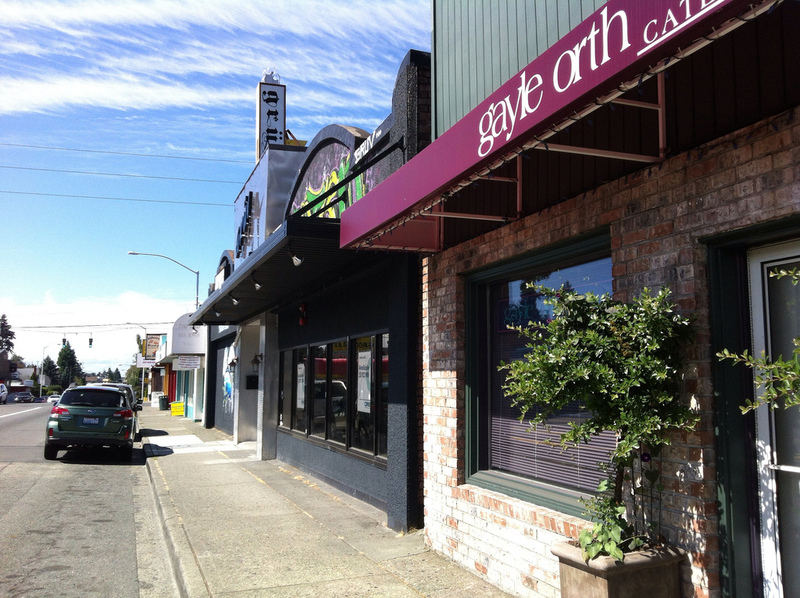 the Central Tavern, Purky's Tavern, rainbow, Snack-n-Tap, Spot Lite Tavern, Tacoma, the Sixth & Proctor Bar & Grill, Tuddi's Restaurant (where it had a fatal fire because of a safecracker's torch), unicorn, vacant on August 28, 2012 by admin.